Fake social media accounts already have a reputation of swaying political discourse, but a Keck School of Medicine of USC researcher says these automated accounts are even more dangerous — they can be bad for your health. 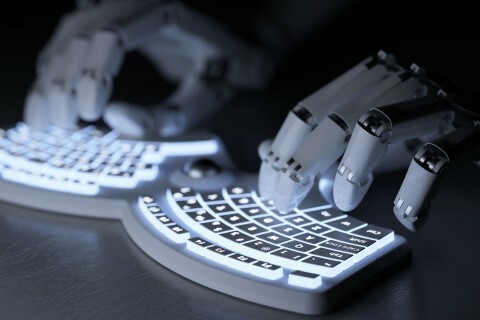 Social bots are automated accounts that use artificial intelligence to influence discussions and promote specific ideas or products. USC researchers focused on how these bots promoted the notion that using electronic cigarettes helps people stop smoking, a conclusion not definitively supported by research. 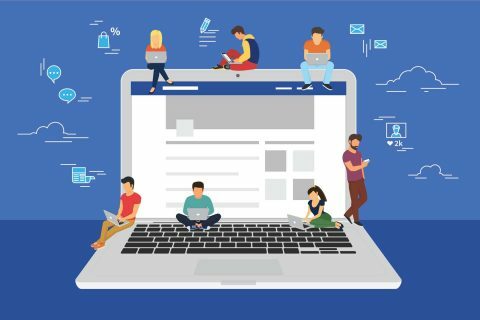 Jon-Patrick Allem, lead author of the study, likened social bots to actress Jenny McCarthy and the “vaccinations cause autism” movement, an idea that has been debunked many times but still sticks. Social bots may not have the star power of Jenny McCarthy, but what they lack in fame, they make up for in quantity and determination. The study was published in the Journal of Medical Internet Research Public Health and Surveillance on Dec. 20. Allem and his colleagues analyzed about 2.2 million e-cigarette-related posts on Twitter from Dec. 24 to April 21. The study is one of the first to document bots influencing unhealthy behavior, Allem said. Researchers found that social bots were two times more likely than humans to promote both new products and the idea that e-cigarettes empower people to quit smoking. Tobacco use is the leading cause of preventable disease, disability and death in the United States, according to the Centers for Disease Control and Prevention. E-cigarettes are the most commonly used tobacco product among children and teens. Nearly 59 percent of adult e-cigarette users in 2015 were also traditional smokers, according to the CDC. Some 30 percent were former smokers, and 11 percent had never smoked. To compile their data, researchers crawled Twitter to pull out tweets that used key terms such as e-cigarette, vaping and ejuice. They identified human users from social bots by analyzing retweets or mentions, ratio of followers to followees, content and level of emotion. Then they used a “BotOrNot” algorithm as the final filter. 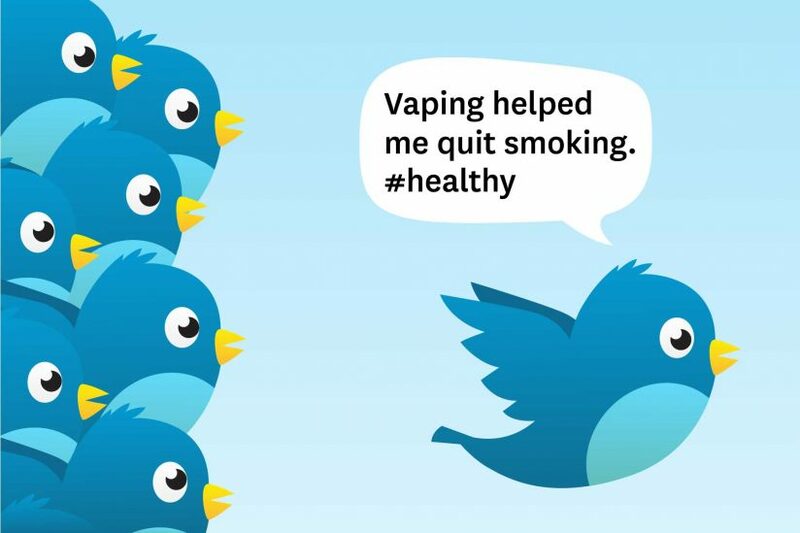 The researchers found social bots were more likely to post hashtags where people said they quit smoking as a result of e-cigarette use (#quitsmoking, #health). The bots also promoted new products. Humans, on the other hand, were more likely to use hashtags referencing behavior (#vape), identity (#vapelife) and vaping community (#vapenation). To counteract the arguably unhealthy behavior social bots promote, Allem said public health officials and organizations need to bolster education campaigns. For e-cigarettes, that means campaigns highlighting the known hazards of e-cigarette use. Emilio Ferrara and Sree Priyanka Uppu from the Information Sciences Institute at the USC Viterbi School of Engineering and Nancy Tess Boley Cruz and Jennifer Unger from the Department of Preventive Medicine of the Keck School of Medicine also contributed to this study. The research was fully supported by the federal government through a $20,000 grant (P50CA180905) from the National Cancer Institute and the U.S. Food and Drug Administration’s Center for Tobacco Products. Jon-Patrick Allem uses information from Google searches and social media posts to generate research that brings about change. Experimentation with e-cigarettes could become nicotine addiction for youth who have never used any other tobacco products, USC study suggests. Networks of automated agents hold sway over social media, with major implications for politics, national security and free speech.